Excite all the senses on this exhilarating, basalt cliff-face path, which was first enjoyed in the early 1900s. 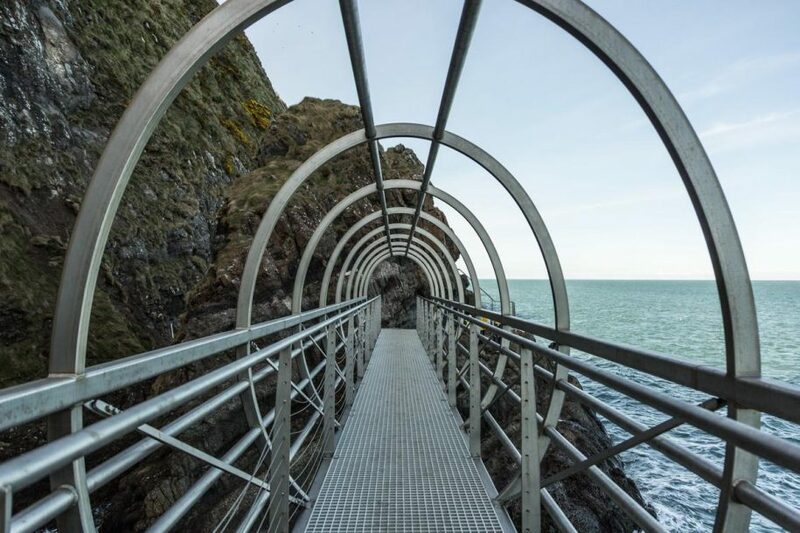 Located on the scenic Islandmagee peninsula, the attraction has been reborn and reimagined for the 21st century giving unparalleled access to the rugged Antrim Coast. The dramatic and challenging path includes spectacular tubular and suspension bridges, 10m above the sea, caves, steps and tunnels. There is also a fascinating Visitor Centre and cliff-top path.